When I make quilt patterns, I currently take photos of the actual process, then I use Microsoft Word to make the pdf. I don't do much math, my designs are uaually the "liberated" type. 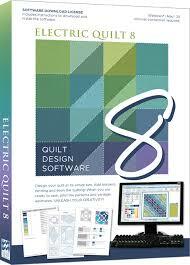 I'm considering switching to Electric Quilt 8. My question is: I want to create my own blocks; I don't want to use their library of blocks.In that case, would it be a waste of $ to buy EQ8? Do you like using it? Do you recommend it? I really appreciate your advice! Thanks! 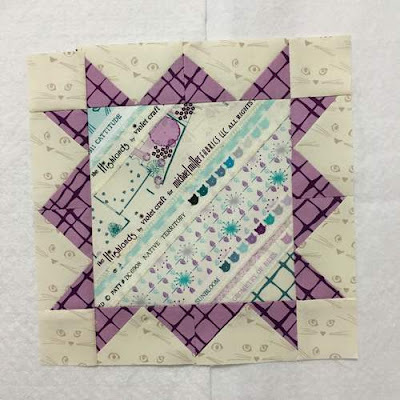 the book Sister Sampler Quilts by Anne Marie Cheny. See Violet's blog post. Violet is a former software engineer who now designs fabrics which are influenced by her tech background. She also has a children's clothing line called Kung Fu Bambini. 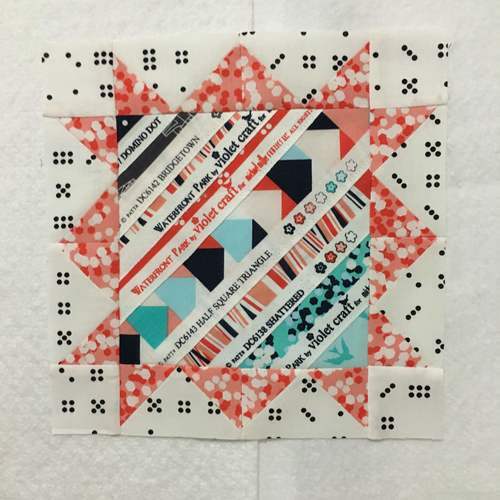 She is one busy quilter! 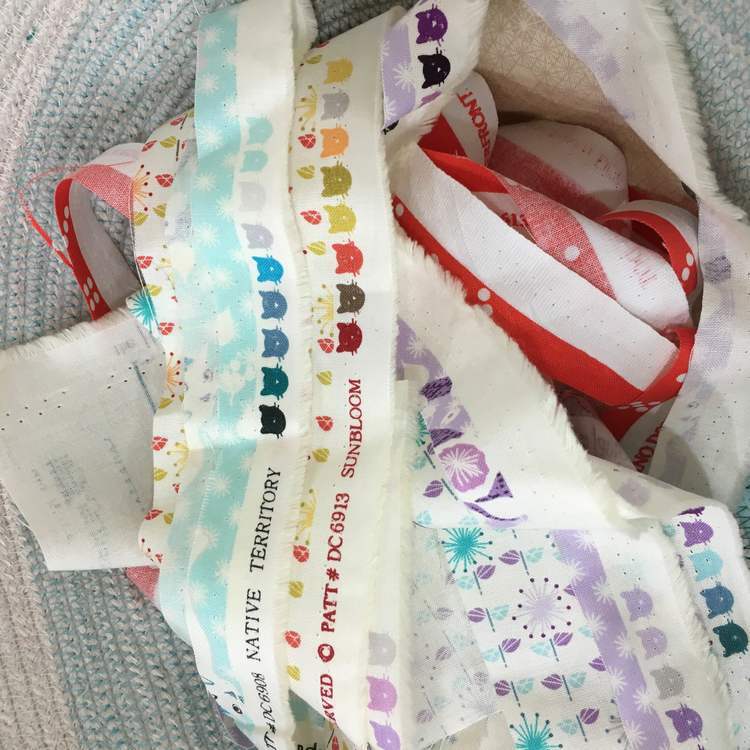 Look at these very cute selvages from Anne Marie Chany's fabric line. 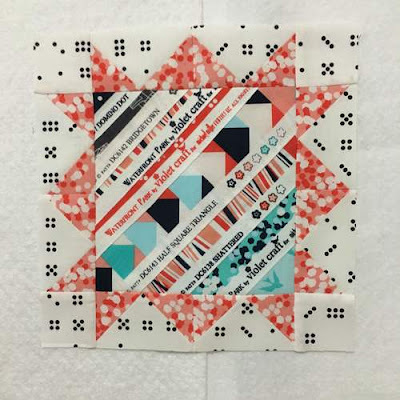 Anne Marie uses them in one of the modern style quilts featured in her book: Sister Sampler Quilts. You can read about it on Violet Craft's bloc post. 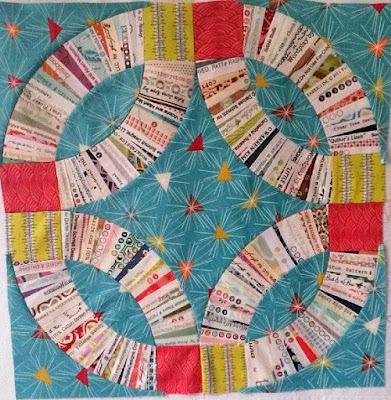 Looking forward to fresh quilt inspiration for the new year! I just made a series of red clergy stoles (worn by some ordained Protestant ministers) using my collection of Kaffe Collective fabrics (and a few others). 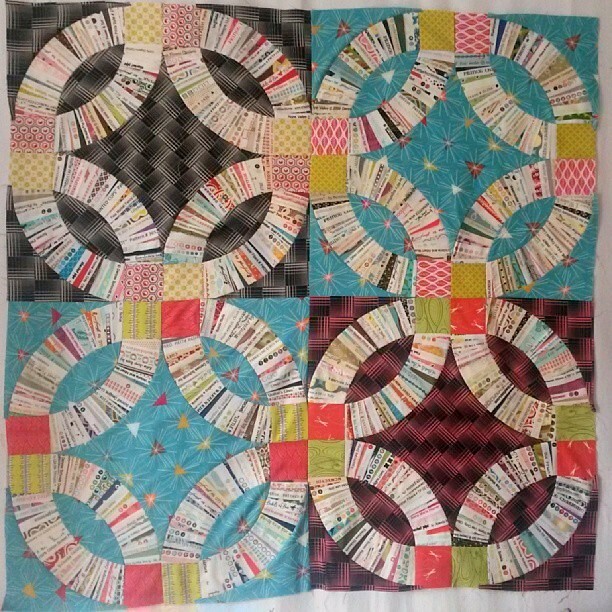 These happy fabrics are a joy to work with, especially in colorless January. I'll be back to quilt-making pretty soon. This double wedding ring quilt with selvages was made by "Miriam/berlinquilter." 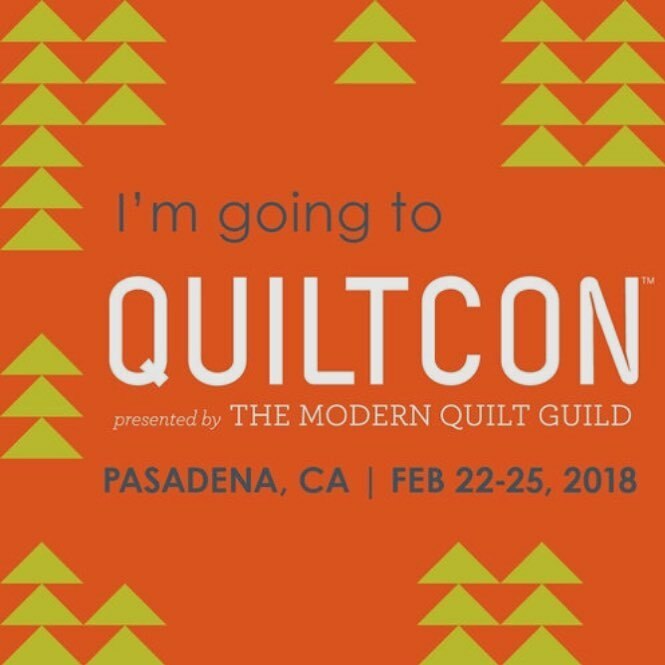 Her blog is Berlin Quilter, and she is on Instagram with the same name. Nice job, Miriam!